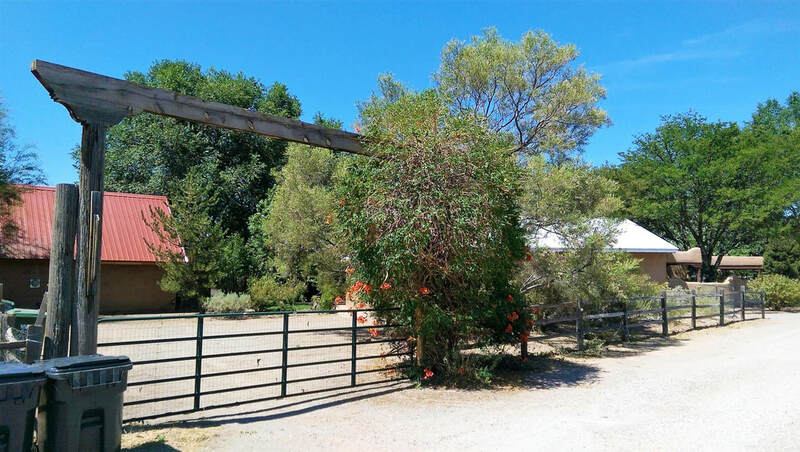 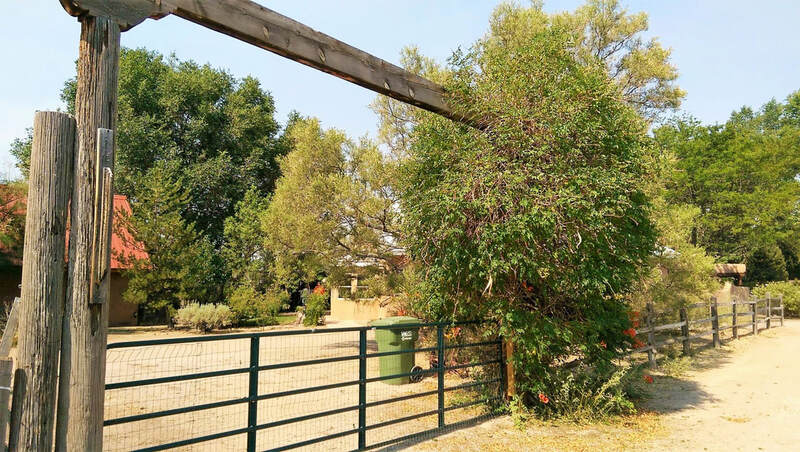 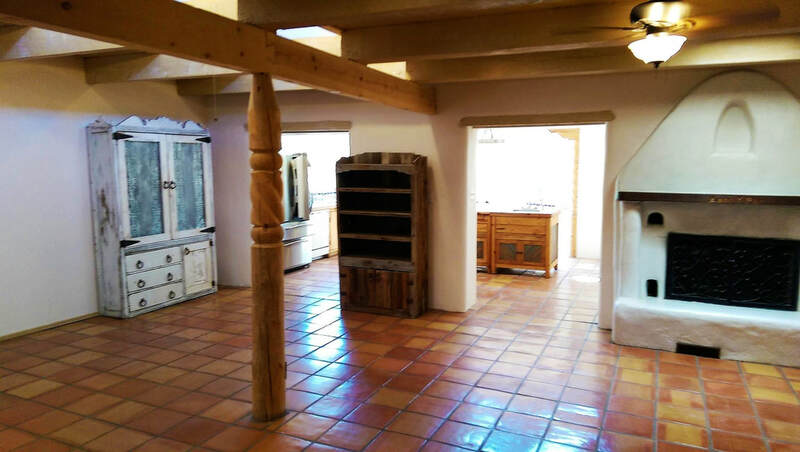 A Quiet Horse Property on 1 Acre in the rural Village of Los Ranchos which is situated in the North Rio Grande Valley of Albuquerque. 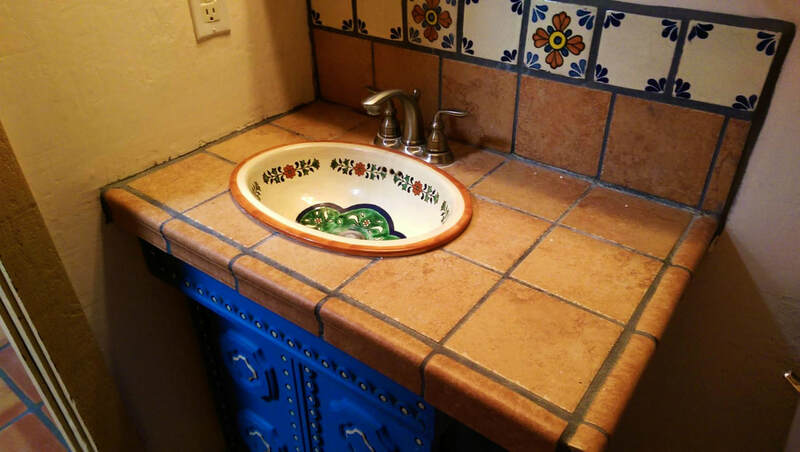 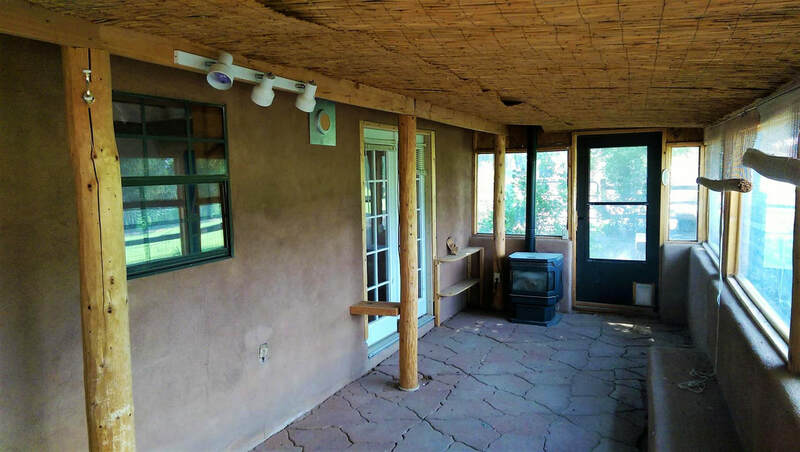 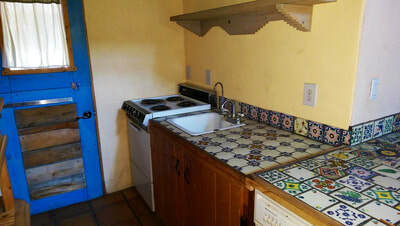 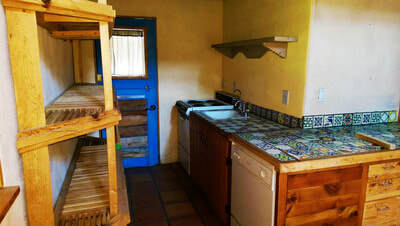 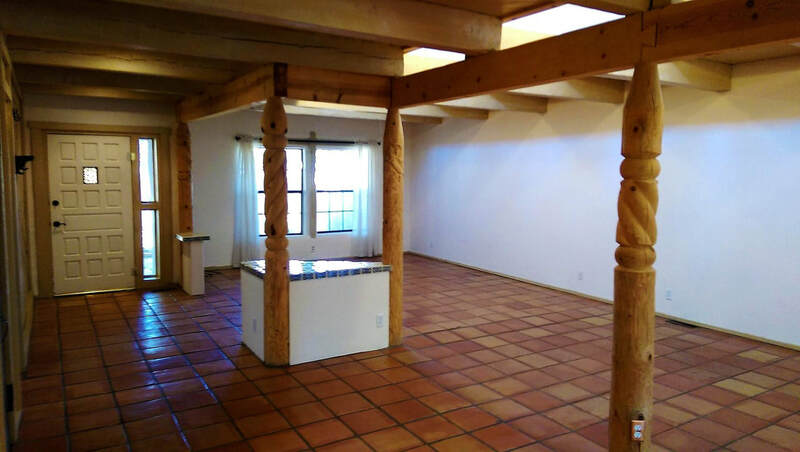 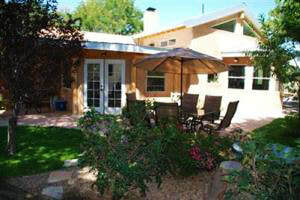 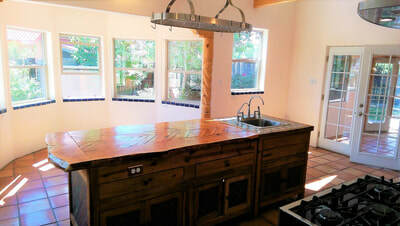 2,434 sf 4-bedroom & 2-bath custom Adobe House plus a 786 sf 1-bedroom & bath Adobe Guest House. 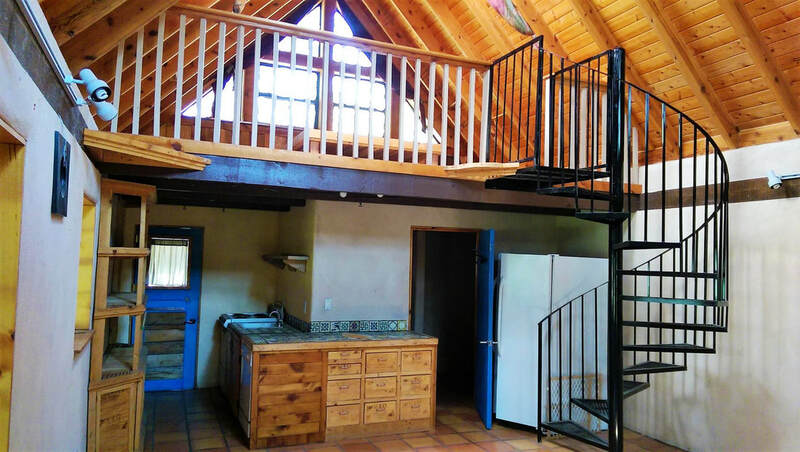 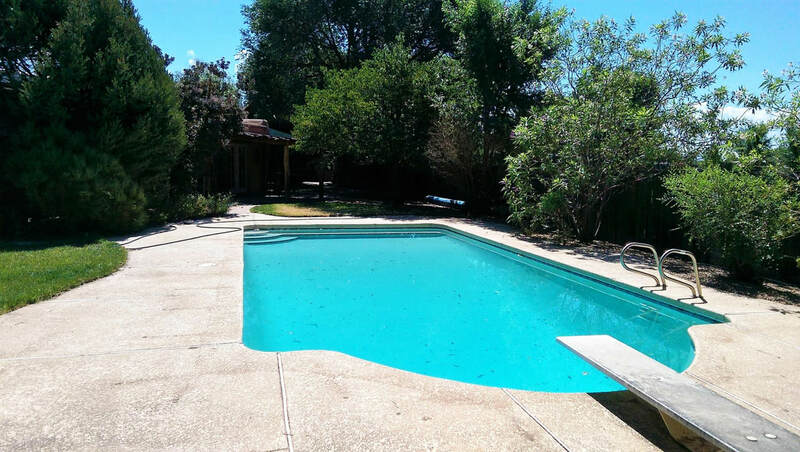 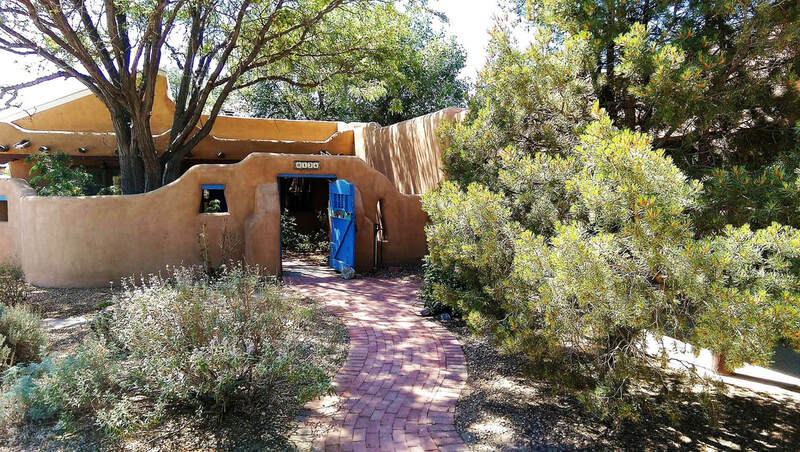 This 4-bedroom & 2 bath custom adobe charm sits on 1 acre. In front of a 2-car garage is a carport for 2 vehicles. 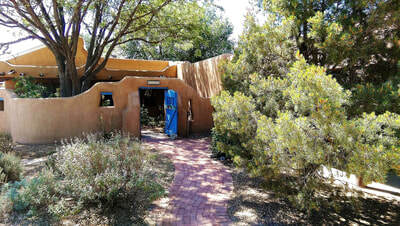 A cute adobe entrance encloses a wildflower-packed shaded courtyard and welcomes the visitor into a bright open living and dining area which resembles an in-door “green house”. 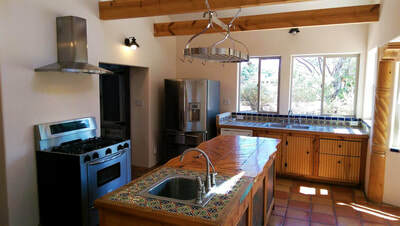 The ceilings throughout the house are beamed, and the living/dining area is illuminated throughout the day by a 14-foot high clearstory which faces south and brings the sunshine in all day long. By spring of 2009 a kitchen-sunroom addition was completed.